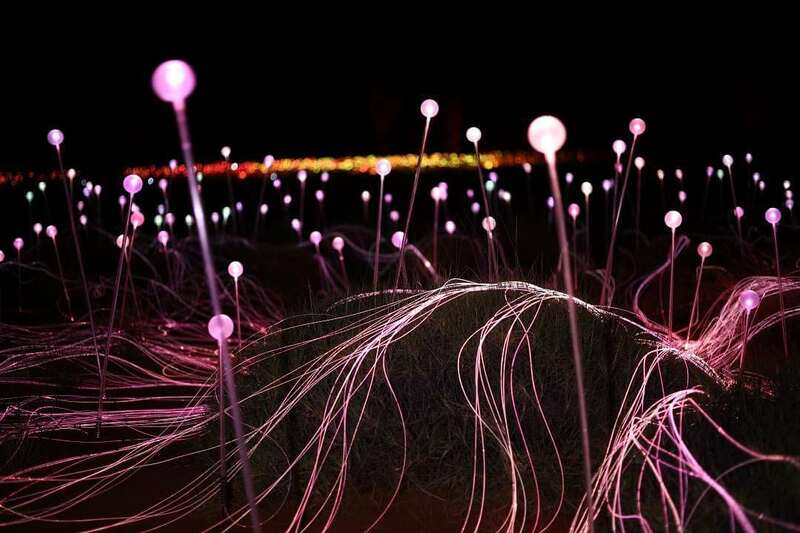 Field of Light art installation, and global phenomenon, by internationally acclaimed artist Bruce Munro, is coming to Australia for the first time. 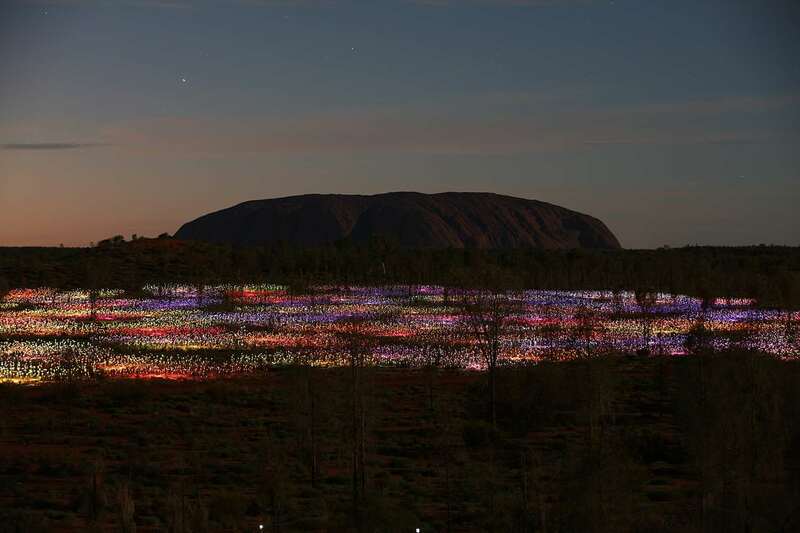 As part of Ayers Rock Resort’s commitment to arts and culture, it’s hosting the biggest Field of Light installation to date at the place that inspired it – Uluru. Bruce Munro is noted for his immersive site-specific installations that employ light to evoke emotional response, often in an outdoor context and on a monumental scale. Born in London in 1959, Munro’s passion for light as a medium began in Australia. Munro visited Uluru in 1992 as he bid farewell the country he’d called home for eight years. Your Field of Light experience begins with a convenient hotel pick-up and short transfer to the remote desert location. 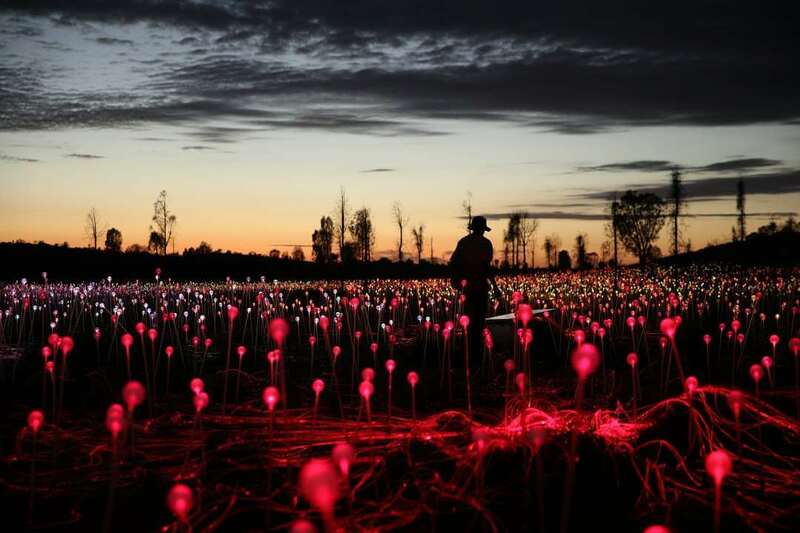 As darkness has fallen, the 50,000 slender stems crowned with radiant frosted-glass spheres will gently bloom with rhythms of coloured light. Temporarily lose yourself in this monumental light installation its pathways draw you in.